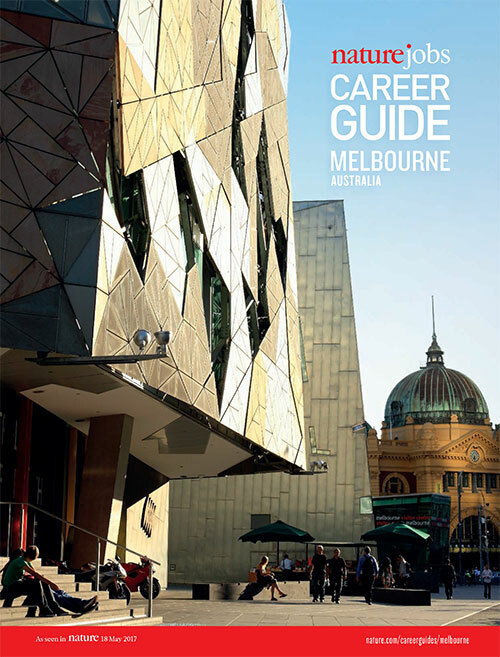 Melbourne’s institutions cluster into discrete geographic hubs, with a solid culture of collaboration and an emphasis on biomedical research. Learn more about the area’s leading scientific entities and their ties to each other. The Nature Index tracks high-quality research and collaborations by measuring the contribution of institutions and, by extension, cities and countries, to a set of high-quality journals in the natural sciences. An institution's contribution to these journals is its fractional count (FC), while article count (AC) is the number of an institution’s journal articles that appear in the Nature Index. When evaluating the collaborative effort between two institutions, a bilateral collaboration score (CS) is derived. This is sum of the FCs from articles with authors from both institutions. Local bilateral collaborations between institutions within the greater city area are represented by the lines on the map, while the top international bilateral collaborations are listed in a popup box of each institution. The collaborations of child institutions that are part of a larger institution are shown as dashed lines. In most instances, only the primary location of an institution is mapped. Read more about index metrics.